The Department of the Environment says the Government has no plans to ban hare coursing, even though the Green Party wants to see it done away with. Around 30,000 people have been attending the three-day National Coursing meeting in Clonmel, Co Tipperary. During the meeting, muzzled greyhounds chase a hare up a field and large bets are placed on which dog will be the first to force the hare to turn. The hares then get away from the dogs and are later released back into the wild, say the organisors. 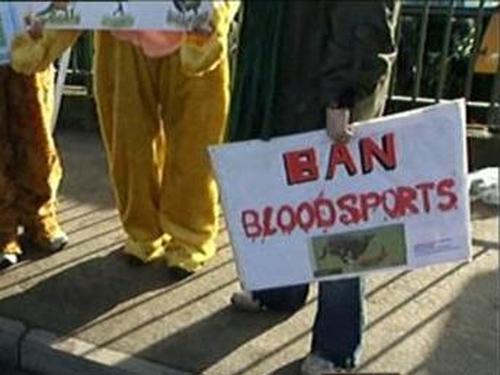 But outside the event, 24 people gathered to protest at coursing, which they say is cruel. A spokesperson for Ministerfor the Environment John Gormley, said there are no plans to ban hare coursing and it is not in the programme for Government. But another Green party spokesperson said the party wants to see it banned.